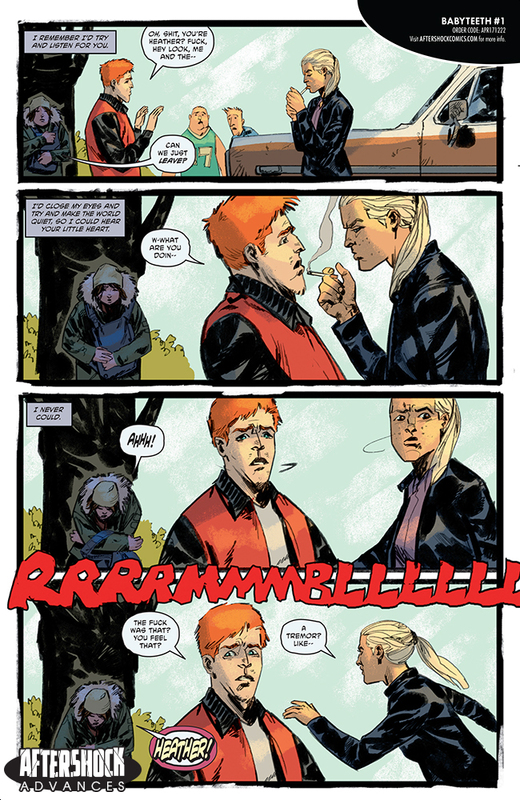 Babyteeth, the new AfterShock comic from writer Donny Cates and artist Garry Brown, opens with a scene that would, under other circumstances, ring tender. Sadie, a teenage mother, records a message for her infant son, Clark, on her phone. Unfortunately, the infant hints at a legacy far more diabolic than the terrible twos. His labor instigates tremors and a miasma of the demonic surrounds his birth. 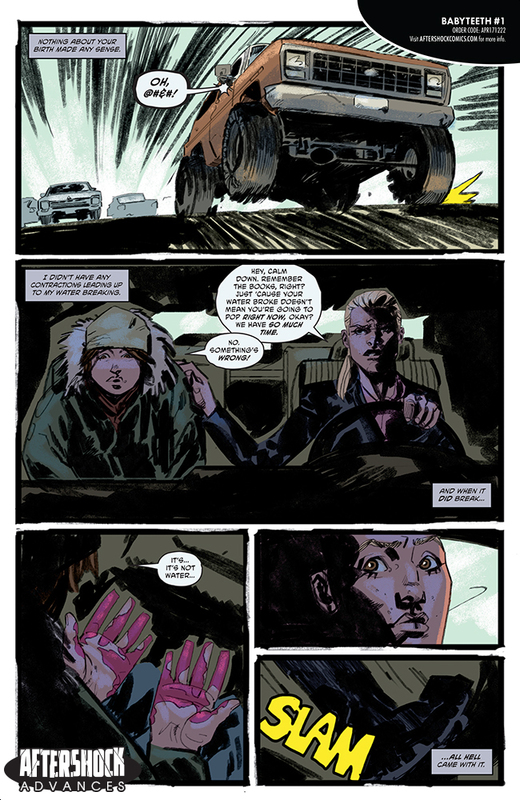 From that concept, Cates lays the foundation for a series where the personal converges with the apocalyptic. 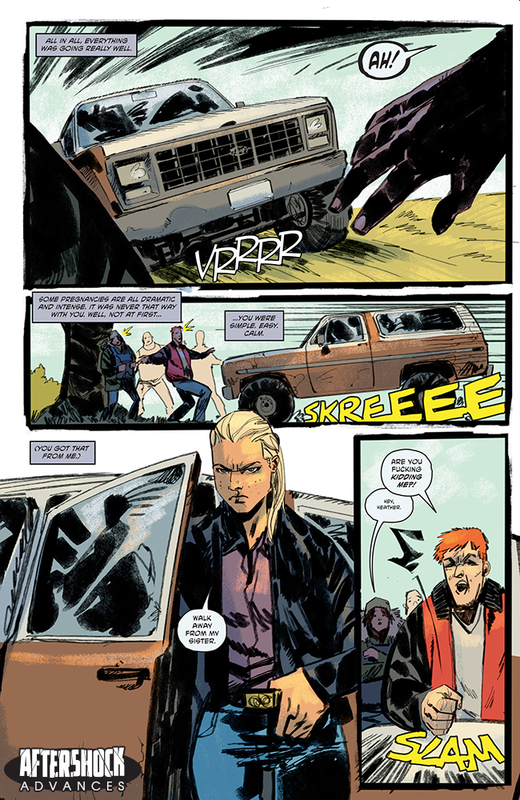 This innovation isn’t uncommon for Cates; the author’s comics have approached high concepts from unexpected angles. Redneck focuses on a group of Texan vampires who have foresworn feasting on human blood to run a barbecue joint, while the miniseries God Country deconstructs heroic archetypes with a geriatric thunder-wielder and memorably riffs on questions of belief and omnipotence. Paste exchanged emails wth Cates about the conception of Babyteeth, his process with co-creator Brown and his first exposure to the Antichrist. 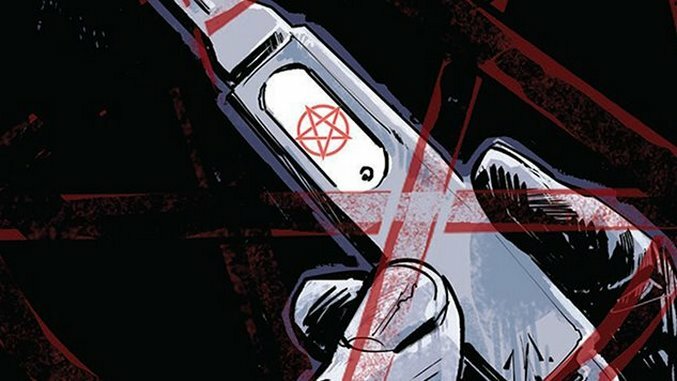 Paste: The first issue of Babyteeth is narrated by Sadie, and by the end of that issue, we see where and when that narration is happening relative to the overall series. Did you always have the idea of her as the narrator in mind? Donny Cates: Oh yeah, totally. I always loved the idea of the book being this kind of love letter between a mother and her child. And it’s so much fun to write in her voice too, as lately the majority of my work has been so masculine, and the characters have been so much older. So it’s great to speak in a voice that is some ways a lot closer to my own. 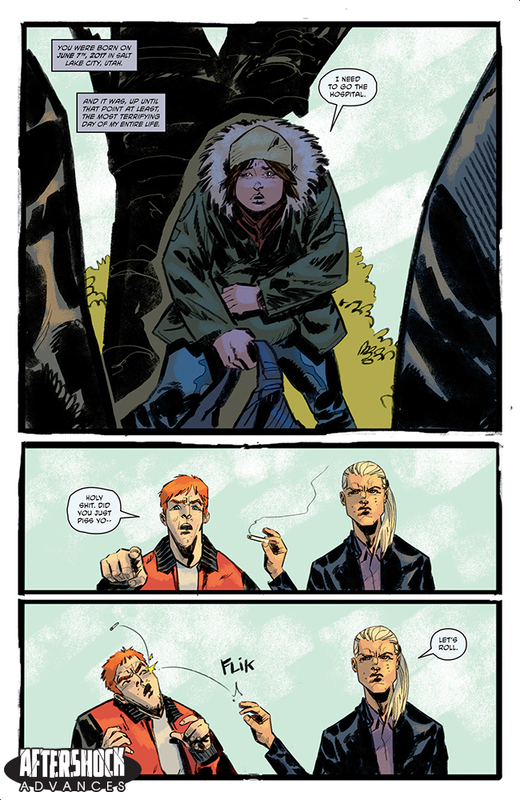 I’ve never been a 200-year-old vampire, or an old man fighting gods or a superhero…but man, I’ve totally been a 16-year-old who has no idea what the hell I’m doing, you know? Paste: Structurally speaking, the first issue is a flashback, with two distinct timelines — but there are also allusions to events that took place before (the identity of Clark’s father) and events that are coming. Did you know from the outset that the first issue would align with the child’s birth? Cates: Oh of course. I mean really, as far as an “inciting incident” for a story, it doesn’t get much better than something like that. Paste: Much of the first issue is set in Salt Lake City, a place with its own considerable connections to American religious history. Was this what drew you to it? Cates: First and foremost, I wanted to get the hell out of Texas. While I love my home state of Texas more than it is reasonable for a man to love a patch of (beautiful) dirt, I never wanted to get typecast as the “Texas” guy. So when you start thinking about places that, Antichrist stuff aside, it might be particularly frowned upon to be an unwed pregnant woman, SLC came to mind at once. It’s also just a stunning place. And my sister-in-law is from there, and she and her family were all inspirations for the story as well. So it just all made sense. Paste: You and Garry Brown co-created the series. What did each of you bring to the process for the series as a whole? Cates: Anyone who knows Garry’s work knows that he can do anything. I mean, really, he’s one of those artists that you can throw anything at him in a script and know that he will just nail it. So having someone as seasoned and professional on the team just allows me to write with the confidence that my partner can pull it off. Whether it’s horror, or an alternate dimension, or a small quiet moment between a father and daughter, having Garry on board just means that the book can go anywhere, and I can write knowing that no matter where we go…it will all look stunning. Paste: Has the story begun going to places that you didn’t expect when you first conceived it? Cates: Oh yeah, they all do. As you write stories, in a lot of ways you are building these relationships to these characters and, even though you created them, you begin to learn things about them you never knew was there. So yeah, I know you asked about story beats, but story beats are these big monolithic stones that you have to weave around. I tend to get more focused on the characters and how they react to these beats. Once you know who the characters are, it becomes fun to start throwing things at them that maybe you never planned on, just to see how they’ll react. So to answer your question, yes, certainly things change. But it’s always more character based than story based. If that makes any sense! Paste: This isn’t your first book to deal with questions of deities, belief and the potential dangers of both. What draws you to these themes? Maybe it’s because I wasn’t raised in a religious family? I honestly don’t know. Perhaps I’m drawn to it because it’s something I’m so unsure about, myself. Paste: There have been numerous depictions of the Antichrist in pop culture over the years, from the horrific to the comedic. What was the first one that you encountered? Cates: I don’t know…probably The Omen? Something like that? Or maybe some early Marvel horror comic? I know it wasn’t ever anything that particularly interested me, I know that. Not like, say, vampires. I’ve been obsessed with vampires since I was a little kid. But the whole evil baby thing never did it for me. That’s why I love Babyteeth so much. It’s the “evil baby” story I would watch. Paste: There are plenty of ways in which that idea can resonate, from the nature-versus-nurture debate to the questions of belief and fundamentalism that can accompany it. What do you find to be the most compelling reason to tell a story about the Antichrist? Cates: Honestly? I don’t find the Antichrist compelling whatsoever. What I do find compelling is the girl who gives birth to it, and the impact it has on her life. 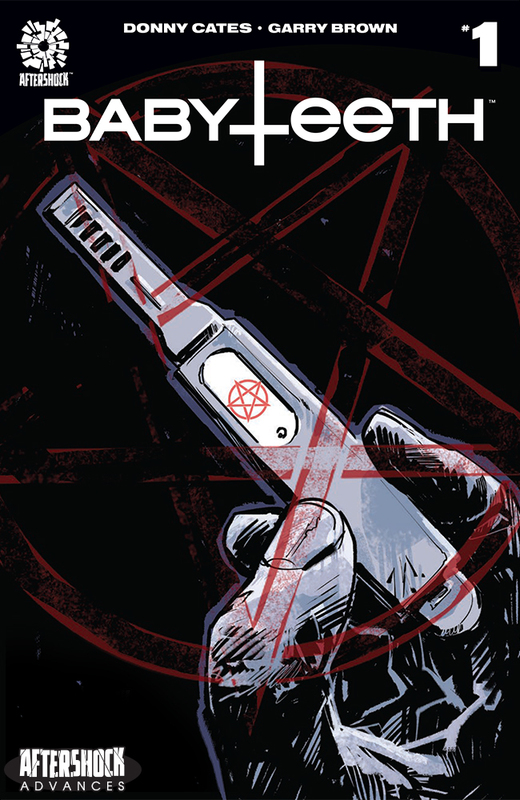 Babyteeth is a story about the Antichrist in the same way Buzzkill was about superheroes, or God Country was about magic swords or Redneck is about vampires…. Which is to say that Babyteeth is, at its core, a story about family. [It’s] about a 16-year-old girl named Sadie who is just trying to do the right thing and raise the child that she loves more than anything. And the…let’s just say…apocalyptic challenges that present themselves along the way.